A novel of army life in the calm before Pearl Harbor: A New York Times bestseller, a National Book Award winner, and “one of the great books of our time” (Newsday). At the Pearl Harbor army base in 1941, Robert E. Lee Prewitt is Uncle Sam’s finest bugler. A career soldier with no patience for army politics, Prewitt becomes incensed when a commander’s favorite wins the title of First Bugler. His indignation results in a transfer to an infantry unit whose commander is less interested in preparing for war than he is in boxing. But when Prewitt refuses to join the company team, the commander and his sergeant decide to make the bugler’s life hell. 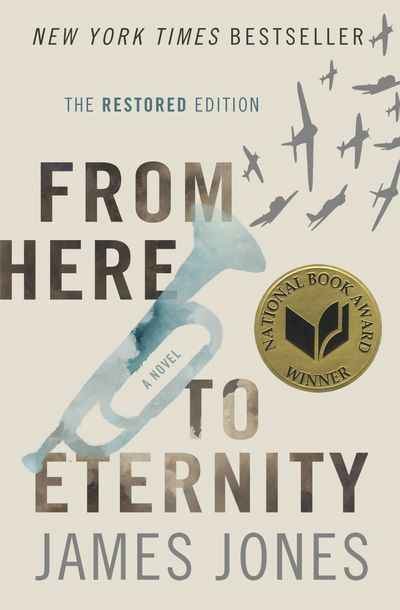 An American classic now available with scenes and dialogue considered unfit for publication in the 1950s, From Here to Eternity is a stirring picture of army life in the months leading up to the attack on Pearl Harbor.